What Are Some Newer Opioid Drugs to Look out For? Opiate drugs are substances developed from the Asian poppy plant or synthetic substances that are analogs of opiate drugs. The primary medicinal purposes of opiate drugs are for the control of pain, but there are other uses as well, such as being used as cough suppressants and even as withdrawal management medications. According to the National Institute on Drug Abuse (NIDA), prescription medication abuse remains a major concern in the United States, and one of the major categories of prescription medications that are abused includes opiate drugs. Most people are familiar with many of these drugs, including Vicodin, OxyContin, morphine, heroin, codeine, etc. All of the opiate medications that are approved for medicinal purposes are controlled substances, and several illicit opiate drugs, such as heroin, are also listed as controlled substances by the DEA. There are several new opiate drugs that have been released on the market that have generated controversy, and there are also new illicit opiate drugs. Fentanyl is a synthetic opioid that is extremely potent and has a rapid onset of action. It is many times more potent than powerful opiate drugs like morphine. The amount of the drug that can cause serious overdose effects is relatively small compared to most other opiate drugs. The drug is classified as a Schedule II controlled substance by the DEA, meaning that even though it does have medicinal uses, it is extremely prone to abuse and will most likely produce physical dependence in people who use or abuse it for significant lengths of time. Fentanyl is marketed under numerous trade names, including Duragesic and Actiq. It is not a new drug as it was first developed in the 1960s, but it is still receiving quite a bit of publicity as a drug of concern. The drug is notorious for its potential fatal effects, particularly when heroin users use heroin that is laced with fentanyl. Fentanyl has received significant media attention regarding numerous cases of individuals who overdosed on the drug when it was taken as counterfeit versions of the benzodiazepine Xanax or other opiate drugs. Often, these counterfeit drugs are manufactured overseas, and there are no regulations regarding their potency or even the ingredients that are put in them. Many times, these counterfeit drugs do not contain the actual ingredients they are reported to contain. This recent publicity highlights the dangers of buying prescription medications on the street, especially prescription medications that do not have recognized trade names associated with them. For example, an individual who is selling “generic Xanax” on the street is most likely selling a drug that was not produced in a professional and qualified laboratory according to government regulations that dictate their manufacture. Individuals who use counterfeit drugs or who mix fentanyl with other drugs are extreme risk for serious overdose effects. Pink, classified as U-47700 by the DEA, is an illicit synthetic opioid that is a significant drug of abuse. There have been several seizures of this illicit drug in tablet and powder form. The drug gets its street name “Pink” from the pinkish color of the drug when it is in powder form. Pink is often sold illegally as a counterfeit opioid. The tablets are often sold on the street under the guise of being a recognized opiate drug, such as OxyContin. It appears that the drug is also often taken in conjunction with heroin or fentanyl. The drug is reportedly manufactured in China and then shipped to the United States, often masking as some other opiate drug. The DEA reports a total of 46 recent confirmed fatalities in New York and North Carolina associated with abuse of this drug. As a result, the DEA has classified the drug as a Schedule I controlled substance, indicating that it has no known medicinal uses, is a significant drug of abuse, and is illegal to obtain or own except with special permissions by the government. Hydrocodone is the opioid ingredient in several different medications, including Vicodin, Norco, and Lortab. These drugs are notorious drugs of abuse, and all hydrocodone products are Schedule II controlled substances. One of the new drugs containing hydrocodone, Zohydro ER (hydrocodone bitartrate) sparked quite a bit of controversy over its pending approval in 2013 by the Food and Drug Administration (FDA). Zohydro contains significantly more hydrocodone than other opiate drugs, and it is an extended-release drug that is designed to provide pain relief around the clock for individuals who have difficulty managing their pain. The concentrations of hydrocodone that can be in Zohydro are 10 mg, 15 mg, 20 mg, 30 mg, 40 mg, or 50 mg. Other drugs containing hydrocodone typically have concentrations of the drug that range from 5 mg to 10 mg.
Because hydrocodone drugs have an extremely high potential as drugs of abuse, and because drugs like Vicodin and others that contain hydrocodone are notoriously abused, the release of Zohydro into the market stirred numerous objections from members of the press, social media groups, and even members of the medical profession. The FDA countered with several statements attesting to the effectiveness of the drug for medicinal purposes and the safeguards that are normally put in place on substances in this classification, such as having physicians complete risk assessment protocols before prescribing the drug; however, even the FDA admitted that the drug has an extremely high potential for abuse. Eventually, BeadTek technology was applied to the drug where the drug becomes a gel-like substance when it is crushed for snorting or dissolved in liquids in preparation for injecting it. Applying these abuse-deterrent technologies to drugs makes it difficult to abuse them because, many times, potential abusers attempt to alter the drug to make it easier to abuse. Most abusers do not orally take large amounts of extended-release versions of drugs, but instead attempt to alter the drug so they can get the full dosage of the opiate at once. Hysingla ER (hydrocodone bitartrate) is another extended-release version of hydrocodone that was originally approved with abuse-deterrent technology already built into the drug. The drug can be obtained in differing doses of hydrocodone, including 20 mg, 30 mg, 40 mg, 60 mg, 80 mg, 100 mg, or 120 mg. The amounts of hydrocodone in this drug can be extremely high, and this is why the abuse-deterrent technology was put into the drug before its release. Individuals who take versions of the drug with extremely high amounts of hydrocodone in them are obviously suffering from severe chronic pain and need the extra medication; however, abusers of opiates most likely see this drug as a potential gold mine for abuse. The drug is designed to be administered one time during the day and to treat chronic pain. 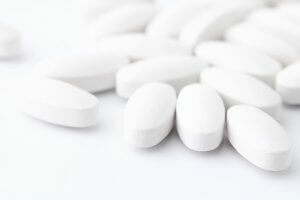 Because tolerance to hydrocodone and other opiate drugs develops rapidly, and because Zohydro and Hysingla contain significantly more hydrocodone than other drugs, concerns regarding the availability of these drugs are genuine. Individuals who abuse opiate drugs are quite resourceful in developing ways to take advantage of medications that have safeguards associated with them. One of the most recent examples of this is the number of abuse cases associated with the drug Suboxone, an opiate drug intended to be used as a withdrawal management medication that contains the opioid antagonist naloxone as a built-in safeguard to discourage its abuse. Because of the increased potency of the hydrocodone in these drugs, any concerns about their potential to be significant drugs of abuse and their potential for overdose are also genuine. Tapentadol (brand names: Nucynta and Palexia) is an opioid medication that has a similar mechanism of action to the opiate drug tramadol, but it is a more effective pain-relieving drug. Tapentadol can be taken as immediate-release version or in an extended-release version. Tapentadol is considered to be a milder opiate drug than hydrocodone or oxycodone, and it has a side effect profile that is not as severe as these other drugs. For example, tapentadol use was associated with far fewer gastrointestinal effects, such as nausea and constipation, during its clinical trials than is observed with many other opiate drugs, but its pain-relieving properties were judged to be equivalent to drugs containing hydrocodone or oxycodone. The manufacturers of the drug also claim that it has less abuse potential than other opiate drugs, as Nucynta is manufactured with abuse-deterrent technology in a way that makes it extremely difficult to break the tablets, crush the tablets, or cut the tablets. Research reported in the journal Pain Medication indicates that tapentadol is abused significantly less than other opiate drugs. However, the drug is a Schedule II controlled substance so the DEA considers it to be a significant candidate for abuse and the development of physical dependence. 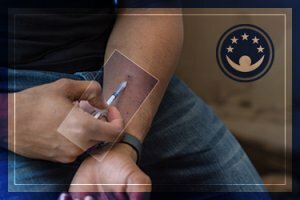 The other thing to always consider regarding abuse-deterrent procedures that are applied to opiate drugs is that opiate abusers are highly resourceful and typically find ways to abuse these drugs regardless. Many times, it almost seems as if opiate abusers are challenged by these substances and apply the type of ingenuity and thought to abusing them that would be very useful in other areas of life. Often, online forums are dedicated to discussing ways to work around these abuse-deterrent properties. New forms of opiate drugs, both legally manufactured and illicit forms of opiate drugs, are continually made available for medicinal or recreational use. 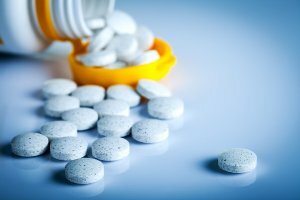 Many of the new opiate medications being approved for use in the treatment of pain are now being produced with abuse-deterrent technology in an effort to cut down on their misuse and abuse; however, drug abusers are a resourceful group, and it remains to be seen if abuse-deterrent technology is actually abuse-resistant. Even the FDA admits that no drug can be 100 percent abuse-resistant; even with new abuse-deterrent technology, these drugs remain classified by the DEA as drugs that have a high potential for abuse. The number of recent fatalities associated with illicit opiates and counterfeit opiates is an important reminder that individuals should not obtain drugs on the street. The potential to buy a counterfeit drug that contains a seriously potent substance or amounts of a substance that can be potentially fatal is high when individuals illicitly purchase drugs from illegal sources.